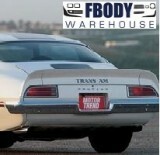 A full selection of lamps and lighting parts for your 1970 1971 1972 1973 Trans Am & Firebird. Everything from actual replacement bulbs, to lens sets and trim. You invest into new paint, now you can invest into the trim and lighting which make your car look like new again!